Think the added value to taking the division instead of the wild card is negligible? 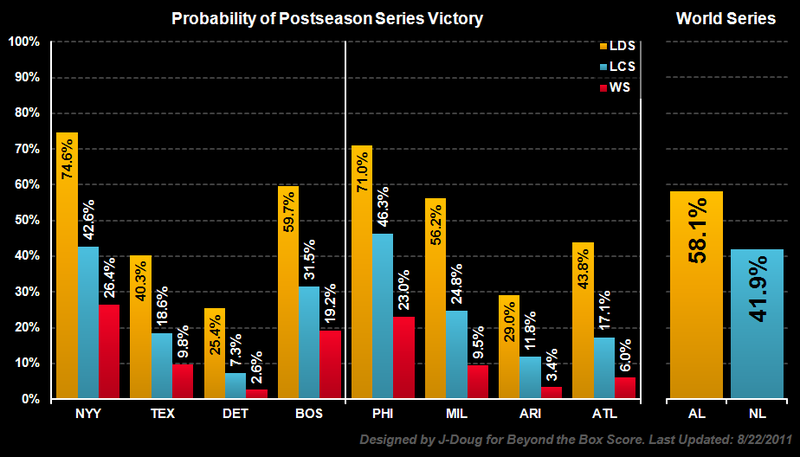 Even though the two AL East behemoths are rather evenly talented, the Yanks are ~15% more likely to reach the ALCS than the Sox and ~10% more likely to win it. This is because of the top seed's home field advantage and more favorable draw.